Confession is an important, yet neglected sacrament of our Church. This offering provides a practical and stimulating guide for Christian growth in our age. In every sacrament there is an act of offering. In the Eucharist, we offer bread and wine; in Baptism and Chrismation and at ordinations, human persons are offered; in marriage, the relationship that has flowered between two people; and in anointing, human sickness and suffering are offered. 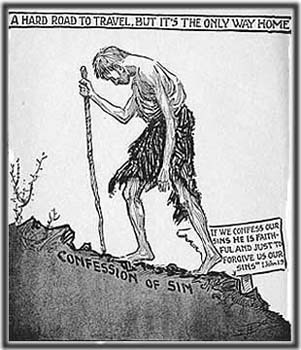 In the Sacrament of Reconciliation – Confession – it is our own sinfulness that we bring as an offering. When we stand before the icon of Christ on the Cross and the Gospel with the priest beside us, what should we say? What are the sins we must confess? What do we offer? And, perhaps most importantly, how do we discover what it is we should say? These are the questions we will try to answer here. *1. Sin is not just breaking the Ten Commandments. We often think of confession as presenting a “shopping list” of the ways we’ve broken the Ten Commandments. But this approach often leads to confusion. I haven’t robbed any banks or murdered anyone, I’m faithful to my spouse, and so far I’ve resisted the temptation to sacrifice my children to idols. Why then does the priest insist I am a sinner? And why does the Church insist that I go to confession when I haven’t done anything? The painful truth is that it is possible to keep all the Commandments and yet still be in sin. During the Sundays of Preparation before Great Lent we hear the Gospel of the Publican and the Pharisee. The Pharisee keeps the commandments and more. He tells God, “I am not like all other men – robbers, evildoers, adulterers – or even like this tax collector. I fast twice a week and give a tenth of all I get.” Yet Jesus says, he is not justified (Luke 18:9-14). Even more frightening are the words Jesus spoke in the Sermon on the Mount: “Not everyone who says to me, ‘Lord, Lord’ will enter the kingdom of heaven, but only he who does the will of my Father who is in heaven. Many will say to me on that day, ‘Lord, Lord, did we not prophesy in your name, and in your name drive out demons and perform many miracles?’ Then I will tell them plainly, ‘I never knew you. Away from me you evil doers!’ ” (Matthew 8:21-23). St. Paul writes that “no one will be declared righteous in [God’s] sight by observing the law; rather through the law we become conscious of sin” (Romans 3:20). The commandments reveal that sin exists in the world and in our lives. To understand more clearly what sin is, we must look at the word that the New Testament and many Fathers used for sin: amartia. This Greek word means “missing the mark”. 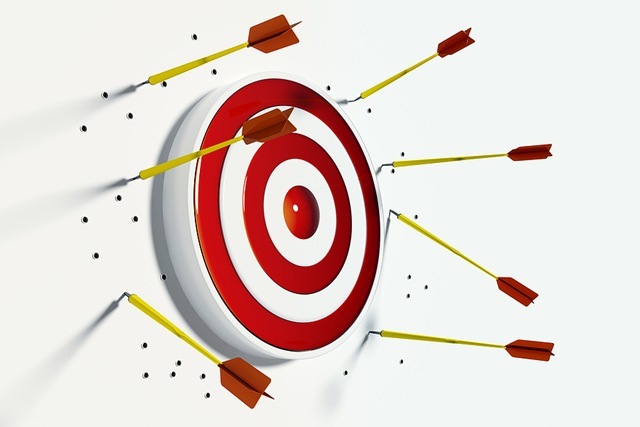 For the writers of the New Testament and those Fathers who wrote in Greek, sin was being off target, moving in the wrong direction, heading for the wrong goal. But what goal? St. Paul writes that we are to attain to “the whole measure of the fullness of Christ” (Ephesians 4:13). This is the goal. Like Christ we must be filled with the Holy Spirit and always doing the will of the Father. This means that the measuring stick we will use when confessing is not how well or how poorly we are keeping the rules. Nor will it be how better or worse we are when compared to others. The measuring stick is the person of Jesus of Nazareth. We will see later what this means practically for repentance and confession. When we do something foolish or make a mistake we often say, “Well, I’m only human”. But human beings by definition are creatures made in the image and likeness of God. Being human is not an excuse for weakness and stupidity, it is a call to greatness. Sin is a failure to live up to our high calling. When we are sinful we fail to be truly human as God wishes us to be. This means that sin is abnormal in human beings. It is an illness that distorts the image of God in us. Some of the specific sins that trouble us may be symptoms of underlying sins that the Fathers call “passions”. For example, we may confess losing our temper, but the root of this sin may be jealousy or pride. In this “medical model” of sin and repentance, the priest’s task, as we shall see, is to diagnose and prescribe. Finally, we must mention two broad types of sins: sins of commission and sins of omission. A sin of commission involves doing, saying, thinking or feeling something we shouldn’t. The Ten Commandments deal with this kind of sin. 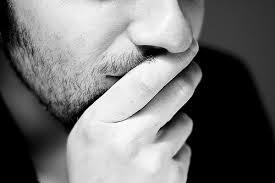 A sin of omission occurs when we fail to do, say, think or feel something we should. These are the hardest kind to recognize and to repent. A good confession happens before we even leave for church. In Jesus’ parable of the Prodigal Son, when the young man finally comes to his senses he says, “I will set out and go back to my father and say to him: Father, I have sinned against heaven and against you I am no longer worthy to be called your son; make me like one of your hired men” (Luke 15:18-19). Before the son takes one step on the journey back to his father, he rehearses what he will say. In other words, he prepares. We must do the same. A good confession depends on good preparation. How do we prepare for confession? First, we must set aside some time to prepare: a half hour, at least. This must be a period of time when we will be free from distractions and interruptions. We should not be shy about asking our family to help. One of the most loving things husbands and wives can do for each other is safeguard each other’s time and place of prayer. This can mean taking the children out, answering the phone, turning off the TV. Preparation should also have a place where we will not be disturbed. We can go to our room and close the door. We can sit before our icons. 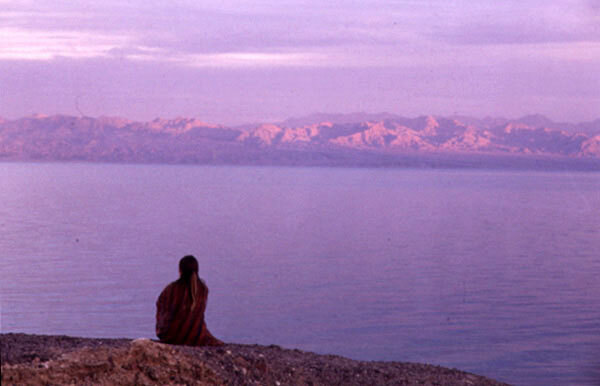 But we must be in a place where we can relax and be quiet for the duration of the time we have set aside to prepare. Once we have entered the time and place to prepare for confession, we must fill it with four things: silence, prayer, reading and reflection. We begin simply by placing ourselves in God’s presence. We say to him, “Her I am”. We remind ourselves that for the next half hour or so our time and thoughts will be His and His alone. And we keep silence. Anyone who has tried this knows what soon happens. We forget about God quickly. We become bored, and then all sorts of thoughts flood our minds. Anger about what someone said or did to us weeks ago comes bubbling to the surface and we find ourselves fantasizing about what we should have said or could have done. Last night’s TV show, a song we heard on the radio, a scene from the last movie we saw are played back in our minds. We get fidgety. We remember all the things we’ve put off for months and feel a sudden urgency to do them right now. When we realize that our minds have wandered, we should bring our attention back to God through prayer, especially the Jesus Prayer. 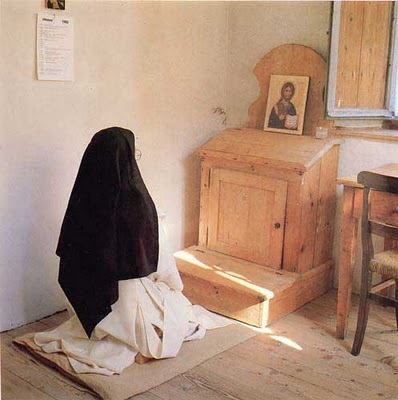 Prayer is the single most important thing to do in preparing for confession. Unless the Holy Spirit reveals our sins and sinfulness to us, we will not see them. In prayer we ask God to show us what He finds displeasing in us, what He wants us to repent of. If we are concerned only with how we’re disappointed in ourselves, repentance can become an exercise in self-improvement but not a return to the Father. We discover our sins not by seeing how evil we are, but by seeing how good God is. The more brightly lit a room is, the more clearly we see the dust and cobwebs. In the lives of saints we often see that the holier they became, the more they knew how sinful they were. In prayer we can begin to see our sins clearly as God sees them. Through prayer we meet our God as the God of forgiveness and mercy, and see the sinfulness of our anger and judging of others; we find in Him the generous giver of all good things, and are convicted in our greed, jealousy, and material anxiety; we encounter the humble Lord of glory, and see the foolishness of our pride and conceit; we are embraced by the God of love, and so recognize our selfishness and lust for what they truly are. In the end, we discover that even sins against our neighbour are ultimately sins against God. Like the Psalmist, we can then pray: “Against you, you only have I sinned and done what is evil in your sight” (Psalm 51:4). How should we pray? It is good to begin with the prayer “Heavenly King”, and the Trisagion. In this way our prayer is united to the prayer of the entire Church. Then we are free to use other written prayers from a book, the Jesus Prayer, or to pray in our own words or to use prayers from the Bible. 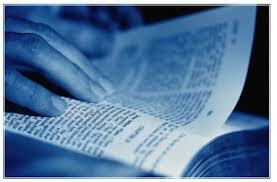 The Psalms are especially good, particularly the Psalms 32, 38 and 51, which are Psalms of Repentance. When using words it is important to pray slowly. Pause after words and phrases so they can sink in and touch the heart. In preparing for confession, our prayer should echo the prayer of the Psalmist: “Who can discern errors? Forgive my hidden faults” (Psalm 19:12). For this reason reading from the Bible is most important. The Sermon on the Mount (Matthew 5-7) and 1 Corinthians 13 are good places to start. By following a rule of daily Scripture readings, we will find other passages we can return to when preparing for confession. In addition, reading from Fr. Thomas Hopko’s booklet “If We Confess Our Sins” or the confession from “The Way of the Pilgrim” can help us focus and apply the Scripture to our own sins. The last thing to say about reading is that this will not be the time to gather ammunition to use on the Jehovah’s Witness when he comes to the door or the “Pharisee” who sits with us on the parish council. What we read we must apply to ourselves, not to our neighbour. Finally, we must actively take what we gather from our silence, prayer and reading and examine ourselves. To do this successfully we must have an attitude of self-blame or self-accusation. This is a very hard attitude to cultivate. We naturally want to see ourselves in the best light, and want others to think well of us. Self-accusation goes against our nature. It means refusing to make excuses or to compare ourselves with others. It means playing the role of prosecutor instead of defense attorney. Impress on your minds that each blames the other and neither blames himself…What they really ought to do is just the opposite. The first ought to say: I speak with presumption and therefore God does not give my brother confidence in me. And the other ought to be thinking: My brother gives me commands with humility and love but I am unruly and have no fear of God…Each considers himself right and excuses himself, as I was saying, all the while keeping none of the Commandments yet expecting his neighbour to keep the lot!…Ought we not rather to examine ourselves about the Commandments and blame ourselves for not keeping them? In our actual preparation silence, prayer, reading and reflection will not follow one after another, but will be mixed. Our silence may lead to reading, our reading to prayer, or more silence, etc. What order we do these is not important: this will vary from person to person and even from confession to confession. What is important is that we include all these ingredients. Let me give some examples of how this might work for you. We are silent before God, and frankly, bored. We pray, but cannot pay attention to prayer. This can lead us to reflect on how little we must truly love God, for we find his company so dull. Or, our silence and prayer is distracted by worry and anxiety about money. Then we read in the Gospel the command of Jesus not to worry about these things (Matthew 6:25-34). We can reflect on our lack of trust in our heavenly Father. By all means, write down these reflections and bring the list to confession if you think you might forget. So far we have been talking about particular preparation for confession. But there is also a “general” preparation. Since all of the Christian life is a struggle with sin and temptation and an ongoing effort of repentance, all of life can prepare us for confession. This is obviously true of the “spiritual” aspects of our lives: prayer, the liturgy and sermons, spiritual reading, fasting – all of these can give us insights into ourselves that we should bring to Christ in sacramental confession. But there is more. If we cultivate the attitude of self-accusation, God can use practically anything in our life to reveal hidden sins to us. You say your maid annoys and irritates you so much that, in order not to fly into a rage, you have taken to telling her – whenever you feel a paroxysm coming on – that she must not lead you into temptation, after which you hurriedly leave the room. This seems to me a remarkably weak way of combating the root of the evil. Consider her, in this connection, as being used by God to show you your greatest weakness: this rage which slumbers in you at all times but lies hidden until she, the hand of God, discloses it. For Pambo and Macarius the prostitute and the maid were ways that God used to lead them to see their sins and to repent more deeply. If we are alert and listening for God who speaks to us in a gentle whisper (1 Kings 19:12-13), there will be many moments of our life that God will use to show us where we need to change. If I have said much about preparing for confession, it is because I am convinced that what we actually say before the priest in confession is only the tip of the iceberg; it is the fruit of our preparation. Now I must admit that I cannot tell you what to say in confession. Prepare, and what you must say will be made clear to you. But I can tell you six things you should not say if you wish to make a good confession. *1. “I Have No Sins”. This is very frustrating for a priest to hear. How is he to “absolve” in Christ the sins of someone who “doesn’t have any?” How can he give that person the Body and Blood of Christ “for the remission of sins?” But it is even more serious. In the New Testament it is written: “If we claim to be without sin, we deceive ourselves and the truth is not in us…If we claimed we have not sinned we make [God] out to be a liar and His word has no place in our lives” (1 John 1:8, 10). *2. “I Am A Sinner”. I do not mean that we should not say this, but that we should not stop there. 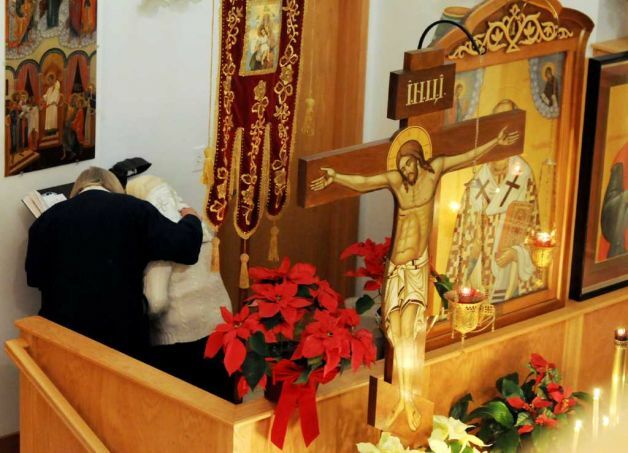 Confession must not become a ritual formality we go through to fulfill a religious obligation. It must be real and personal When we approach confession, we should be able to echo the words of David: “My sacrifice, O God, is a broken spirit; a broken and contrite heart you will not despise” (Psalm 51:17). *3. “I’ve Got A Problem”. Too often we let confession become a counseling session where we tell the priest our problems and hope for advice, help or encouragement. We can and should discuss our problems with our priest, but the place is in the office in a special counseling session. Confession deals with sins. There is much truth in the notion that the root of every problem is sin: our own and/or someone else’s. It is our own sinfulness that underlies our problems. This is what we must unearth in our preparation and bring to confession. Forgiveness says “Yes, you have done this thing but I accept your apology; I will never hold it against you and everything between us will be exactly as it was before”. But excusing says, “I can see you couldn’t help it or didn’t mean it; you weren’t really to blame”. If one was not really to blame then there is nothing to forgive…God knows all the real excuses very much better than we do. If there are real “extenuating circumstances” there is no fear that He will overlook them. …All the real excusing He will do. What we have got to do is take to Him the inexcusable bit, the sin. Excuses such as: “My husband drinks too much”, are out, too. We must confess our sins, not those of our neighbours, friends or relatives. We may need to confess our sinful reaction to our neighbour’s failings. Have we become self-righteous? Judging? Unforgiving? Wanting revenge? Only after repenting of such sins can we begin to seek a Christian solution to the problems created for us by another’s sins. These we are free to discuss with the priest at another time, of course. *6. “I Try To Be Good”. Priests find this one frustrating, too. It’s like saying “I try not to murder anyone”. The obvious response is: “Have you succeeded?” It is important to remember that everyone is good – made in the image and likeness of God. But good people still say, do, think, and feel sinful things. Also, if you are coming to confession, the priest assumes you are “trying to be good”. The question is: where are you failing? Let us end this section on a positive note. There is one thing you can say: the same sins you confessed last time. Do not be afraid to repeat yourself in confession after confession. And do not become cynical about confession because it always seems to consist of “the same old sins”. Why? First, the Church Fathers teach that there are some sins and passions that we will have to wrestle with for most, if not all, of our lives. And second, we can be encouraged that we are at least holding our own. To confess one time that we covet our neighbour’s goods and the next time that we have become a burglar is not spiritual progress, but the opposite behaviour may well be a sign of spiritual growth. He was an irascible man who quarreled easily and had violent outbursts of anger and of course endured violent outbursts from his brothers. One day he felt that it could not go on…he ran to the chapel, fell down before a statue of Christ and begged Him to free Him from his anger. He then walked out full of hope. For many, the greatest obstacle to confessing well, if at all, is that we must confess “to” a priest. This is perhaps even more frightening than what we might discover when we try seeing ourselves in the light of what God is calling us to be. A few words about the priest seem appropriate. 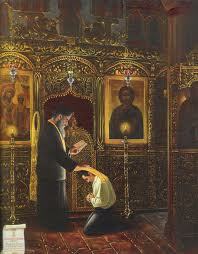 The first thing we must remember is that we do not confess to the priest; we confess to Christ. 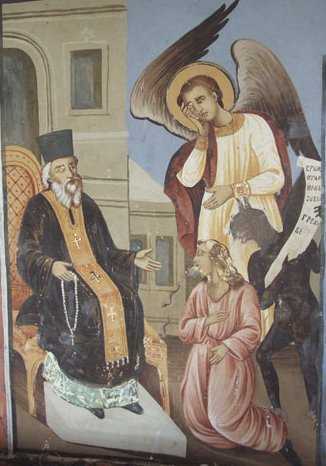 In the Orthodox service books the priest is instructed to say to the penitent: “Christ stands here invisibly and receives your confession…I am only a witness…” In confession, the priest gives witness to two things: the repentance of the sinner who confesses and the forgiveness of Christ given freely to the sinner. 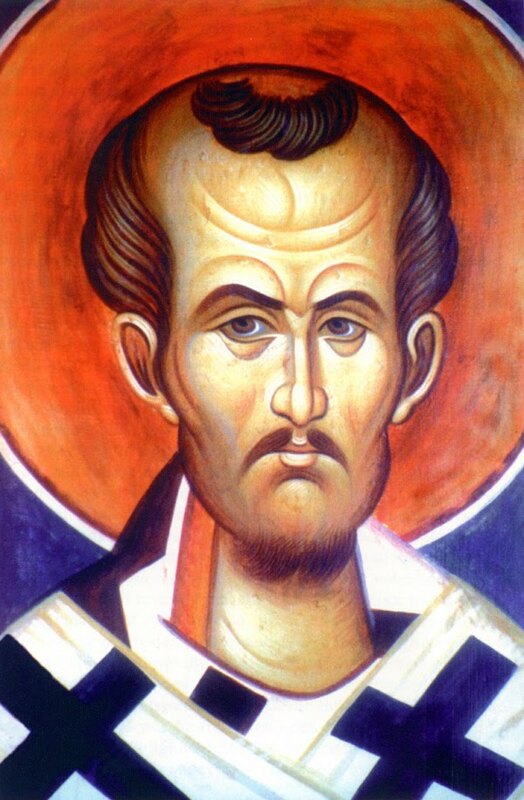 This forgiveness is imparted to the penitent by Christ through the priest to whom our Lord entrusted the ministry of forgiveness in accordance with His words, “Receive the Holy Spirit. If you forgive the sins of any, they are forgiven; if you retain the sins of any, they are retained” (John 20:22-23). Absolution, then is the concluding proclamation of repentance and forgiveness. Traditionally, it takes the form of a prayer: “May the Lord God forgive you…” In the Slavic service books there is a formula that includes “I absolve you” but this is actually a later, Western addition to the service books. It is confusing and, happily, falling into disuse. Since “absolution” proclaims the reality of repentance, the priest is obliged to be a truthful witness and withhold absolution if: (A.) there is no repentance or desire to stop an obviously sinful activity or way of life; (B.) there is a failure to acknowledge a sin as being, in fact, sinful; and (C.) the person is not a believer, that is, if he does not truly accept the dogmatic and moral teachings of the Church. The priest may also delay absolution for a time of penance. During this period extra fasting, silence, special prayers, reading and further discussions with the priest may be prescribed. This is done to help the penitent to realize the true and serious nature of the sin and to deepen his repentance. In the case of a publicly known sin, it may be done to avoid giving scandal to others. The priest is also expected (though not required) to give a word of exhortation. 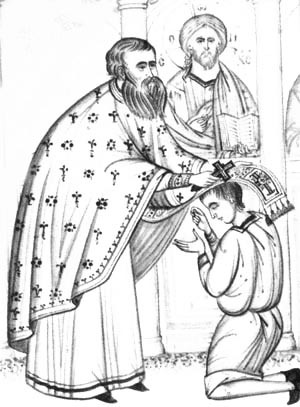 This can include a “diagnosis” in which the priest helps the penitent uncover the causes or the passions underlying the sins he has confessed; and a “prescription” of things the penitent should do to avoid the sin in the future, including prayers and readings to help the penitent in his or her struggle with sin. *2. What Will He Think Of Me? We all want others to like us and think well of us, and this is especially true regarding an “authority figure” such as our priest. To this concern I can respond from my own experience. When I have seen someone wrestle with their fear and embarrassment and overcome them to make an important confession, I have been filled with admiration for them. Jesus said “There is more rejoicing in heaven over one sinner who repents than over ninety-nine righteous persons who do not need to repent” (Luke 15:7). As a confessor, I have often been a part of that heavenly rejoicing. Related to this is the feeling that “my priest used my confession in his sermon”. I suspect that everyone who confesses gets this feeling from time to time. But what we may not realize is twenty people confessed the same sin in the past month, that Sunday Gospel deals specifically with that sin, and besides, the priest may have been struggling with that sin, too. *3. Why Confess To Him? He’s A Sinner! Why go to a doctor? He gets sick, too! In fact, it should be easier to confess to another sinner. Regarding Jesus it is written: “Because he himself suffered when he was tempted, he is able to help those who are being tempted” (Hebrews 2:18). We can also say that a priest can use his own experiences in struggling with sin to help those who come to him. In turn, the penitent’s struggle can strengthen and instruct the priest who must also repent. One of the most loving gifts we can give a priest is a good confession. …we can say that the two great obstacles to confessing well are laziness and fear. Laziness prevents us from taking the time and making the effort to prepare well. Fear prevents us from being open and honest with ourselves and our God before another Christian, our priest. We should confess these sins, as well. When we move beyond our laziness and fear, we will discover that the Father of our Lord Jesus Christ, who has become our Father, as well, is very much like the father of the Prodigal Son. He stands on the high place watching for us. When he sees we have taken the smallest step to return to him, he forgets his dignity and reserve and runs to meet us. He opens his arms to embrace us, and takes us with Him to the place where He dwells. To help you personally prepare for the Sacrament of Confession we suggest you find time to sit quietly, and to prayerfully examine your life using as a guide the following examination of conscience. *1. When Jesus him there and learned that he had been in this condition for a long time, he asked him, “Do you want to get well?” (John 5:6). What is my attitude to this confession? Have I prepared for it? Am I sincerely willing to change aspects of my life so that they will be more in keeping with the Gospel? Did I forget or hide any serious sins in my last confession? Have I made reparation to anyone I have injured? Since my last confession have I remained firm in my efforts to change my life, or did I give up due to laziness, discouragement or forgetfulness? *2. Jesus said: “Love the Lord your God with all your heart and with all your soul and with all your mind. This is the first and greatest commandment” (Matthew 22:37-38). Do I really love God above all things? Or are worldly things such as possessions, power or popularity more important to me? Have I placed my trust in these or in such things as horoscopes, occult practices and superstitions? Have I prayed on a regular and daily basis? Do I pray attentively? Do I approach prayer with joy and enthusiasm, or do I allow anything, no matter how trivial, to be an excuse to shorten prayer or avoid it entirely? Do I think about God during the course of my day? *3. Jesus said “Whoever acknowledges me before men, I will also acknowledge before my Father in heaven. But whoever disowns me before men, I will disown him before my Father in heaven” (Matthew 10:32-33). Am I willing to be known as a Christian in public and private life? Was I embarrassed or afraid to admit my belief in Christ and His Church to others? If someone said something unfair or inaccurate about Christ or Christianity did I try to speak the truth with gentleness, respect and love? *4. “Always be prepared to give an answer to everyone who asks you to give the reason for the hope that you have” (1 Peter 3:15). Do I know what the Orthodox Church teaches and believes? Did I take the time to read, study, or learn more about my faith? Am I able and willing to answer questions about Christ, the Church and my faith? Did I read, study or meditate on God’s Word in the Bible daily? *5. “Ascribe to the LORD the glory due his name. Bring an offering and come before him; worship the LORD in the splendour of his holiness” (1 Chronicles 16:29). Do I keep Sundays and feast days holy by participating as fully as possible in the liturgical services? Do I observe the fasting days and seasons of the Church? Do I receive our Lord’s Body and Blood in Holy Communion frequently? Did I prepare diligently for Holy Communion by prayer and fasting? *6. “Submit yourselves to one another out of reverence for Christ” (Ephesians 5:21). Have I honoured and obeyed my parents, showing them love and respect and helping them with their material, emotional and spiritual needs? Have I been loving, patient and understanding with my children? Did I discipline them appropriately? Have I tried to impart my faith to them by word and example? Do I contribute to the peace and well-being of my family by offering my time, service and love? In my job or profession, am I an honest and hard worker? Do I view the service I render my employers and others as service done to and for Christ? Do I pay my employees a just wage? Are my expectations of them fair and reasonable? Have I fulfilled my promises, contracts and obligations? Have I respected and obeyed legitimate authority? Have I voted responsibly and knowledgeably? Have I paid my taxes? Do I work, as I am able, to promote peace, justice, morality and love in my community, my country and the world? Do I use my positions of responsibility and authority for the good of others? *7. Jesus said: “Love your enemies. Do good to those who hate you, bless those who curse you, pray for those who mistreat you. If anyone strikes you on one cheek, turn to him the other also. If someone takes your cloak, do not stop him from taking your tunic” (Luke 6:27-29). Have I caused injury to another’s life, health, spiritual or emotional well-being, or material possessions by violence or neglect? Have I advised or helped in the obtaining of an abortion? Have I quarrelled, been unduly angry with or insulted anyone? Have I been reconciled with them? If I have injured or offended anyone, have I sought their forgiveness? If anyone has injured or offended me, have I forgiven them? Or am I still filled with hatred or a desire for revenge? Am I committed to accepting suffering rather than inflicting it? Did I seek to retaliate in the face of provocation and violence of any sort? Do I strive for peace within myself and work to be a peacemaker in my daily life? *8. “It is God’s will that you should be holy; that you should avoid sexual immorality; that each of you should learn to control his own body in a way that is holy and honourable, not in passionate lust like the heathen, who do not know God” (1 Thessalonians 4:5-6). Have I been faithful to my spouse? Have I exercised self-control in regards to food, drink, drugs and sexual desire? Have I misused my sexuality by fornication, masturbation, impure thoughts and fantasies? Have I participated in indecent conversations or made use of pornographic entertainment, pictures or reading? Have I incited others to sin by my own failures in this area? *9. Jesus said: “Be on your guard against all kinds of greed; a man’s life does not consist in the abundance of his possessions” (Luke 12:15). Have I envied or desired inordinately another’s position or property? Have I stolen or damaged the property of others? Did I restore it or make restitution? Do I share my possessions with those who have less? Do I give freely and generously of my time, talent and money to those in need and/or the church? *10. “If anyone considers himself religious and yet does not keep a tight rein on his tongue, he deceives himself and his religion is worthless” (James 1:26). Have I taken the name of the Lord in vain? Have I blasphemed or used profane language? Do I talk too much and listen too little? Have I lied or, by cowardly silence, have I avoided telling the truth? Have I gossiped or spread rumours about others? Have I spoken harshly, unjustly, unnecessarily or insultingly to anyone or about anyone? Do I spend time in silence? Or must I always be talking or having the radio or television on? Have I been boastful about myself or judgemental about others? *11. “Whatever you do, do it all for the glory of God” (1 Corinthians 10:31). Is all that I do motivated first and foremost by a desire to love and serve God and my neighbour in the way that God wills me to? Do I think of myself as better than others? 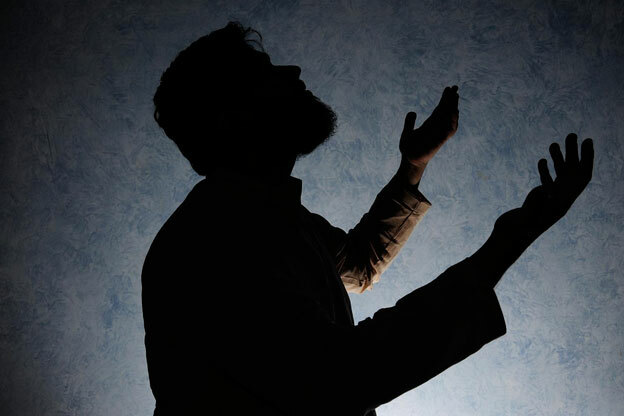 When I pray, fast or do any good, do I try to do it secretly? Or, by word or display, do I make sure that others notice me and my works? *12. “Cast your cares on the LORD and he will sustain you; he will never let the righteous fall” (Psalm 55:22). Am I anxious or worried about anything? Is there a problem or hurt that I should bring to the Lord in Confession for forgiveness, healing or guidance? “Repentance (metanoia) is fitting at all times and for all persons, for sinners as well as for the righteous who look for salvation. There are no bounds to perfection, for even the perfection of the most perfect is nothing but imperfection. 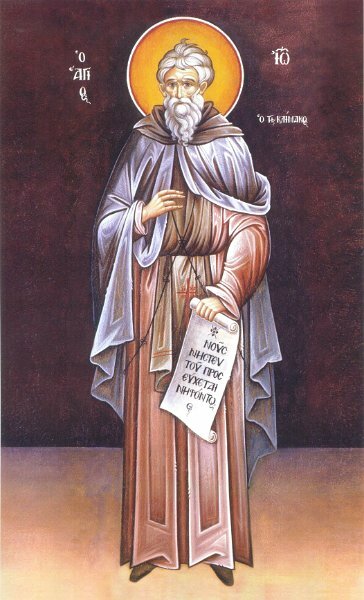 Hence, until the moment of death, neither the time nor the works of perfection can ever be complete”, (St. Isaac the Syrian). “Do all in your power not to fall, for the strong athlete should not fall. But if you do fall, get up again at once and continue the contest. Even if you fall a thousand times…rise up again each time, and keep on doing this until the day of your death. 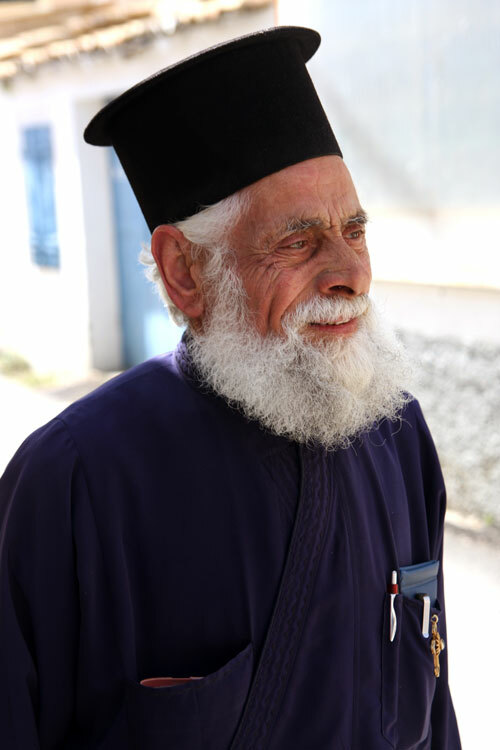 For it is written, ‘If a righteous man falls seven times’ – that is repeatedly throughout his life – seven times ‘shall he rise again’ ”, (St. John of Karpathos). “It is the property of angels not to fall, and even, as some say, it is quite impossible for them to fall. It is the property of men to fall, and to rise again as often as this may happen. 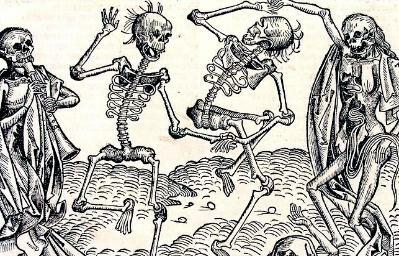 But it is the property of devils, and devils alone, not to rise once they have fallen”. Holy God, Holy Mighty, Holy Immortal, have mercy on us. (3 times). Both now and ever and to the ages of ages, Amen. Refer to “Appendix – Prayers” which has these simple prayers. Discourses and Sayings by Dorotheos of Gaza, Kalamazoo: Cistercian Publications (1977), Translated by Eric P. Wheeler, pp. 144-146. 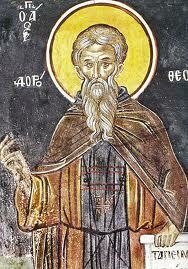 Sayings of the desert Fathers, translated by Benedicta Ward, Kalamazoo: Cistercian Publications (1975), p. 165. Russian Letters of Direction by Macarius, Starets of Optino, Translated by Iulia de Beausobre, Crestwood: St. Vladimir’s Seminary Press (1874), p. 78. C. S. Lewis, “On Forgiveness” in The Weight of Glory. New York: Macmillan (1980), pp. 122-123. Anthony Bloom, Beginning to Pray, New York: Paulist Press (1970), pp. 35-36. This “Examination” is based on those found in The Way of the Pilgrim and The Rites of the Catholic Church, New York: Pueblo Publishing Company (1976). This prayer is known as the Trisagion. Tagged with: Confession Confession the forgotten mystagogy Confession the forgotten sacrament Exomologisis Guide book to confession Guideline to preparing for confession Mystagogical life of Christianity Mystagogies of the Church Mystagogy of Confession Orthodox Christian liturgical life Preparation for Confession Sacrament of Confession Sacramental life of Christianity Sacraments of the Church St Dorotheos of Gaza St Isaac the Syrian St John Chrysostom St John Climachus St John of Karpathos What is sin? Given that tomorrow in Orthodox Churches all around the world will mark the beginning of Great Lent with Clean Monday. And that will begin with the solemn Vesper service of Forgiveness on Sunday night, since in the liturgical cycle Clean Monday is designated as a day of forgiveness, it was only appropriate that we should publish something on the mystagogy (sacrament) of confession. Naturally everyday, as taught by Church hymnography is a day of forgiveness and reconciliation, but we seek to go that extra distance during this time of spiritual testing and struggle. 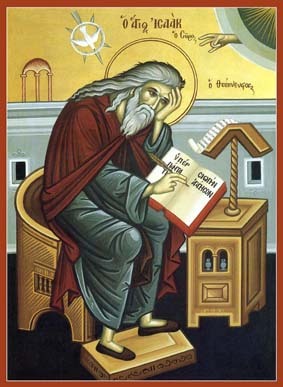 In the Orthodox view, as echoed even in the psychological sciences, one has to discern and recognise personal failings in order to respond effectively and overcome them; or as an old Greek proverb expresses, every negative is for a greater good, because we see it and deal with it in order to attain a greater experience and vision of life, and in the process become stronger and wiser people, provided we are open to its teaching, even if it does not make sense in the here and now, but may reveal its wisdom later on in life.